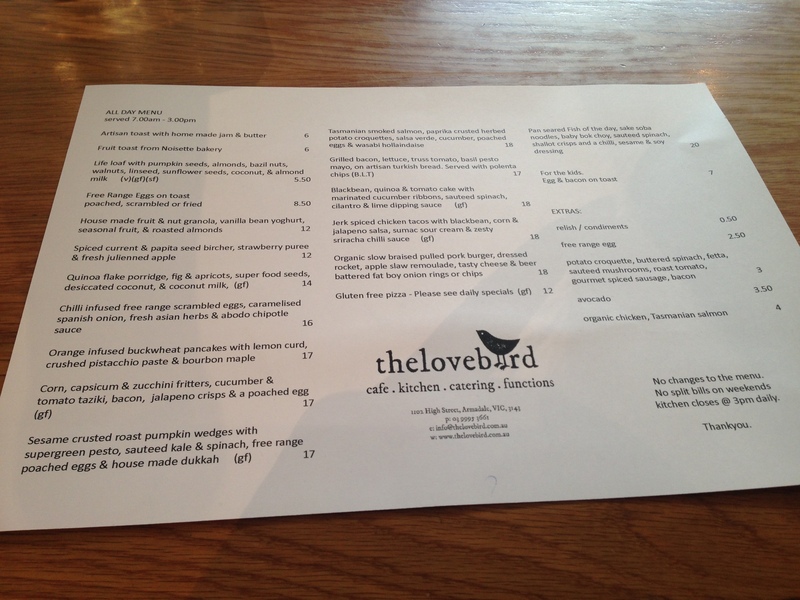 the husband and i are celebrating five years of wedded bliss this weekend, so i thought it was quite fitting when neil + angie from the lovebird cafe invited us to try out their new winter menu which has just launched. 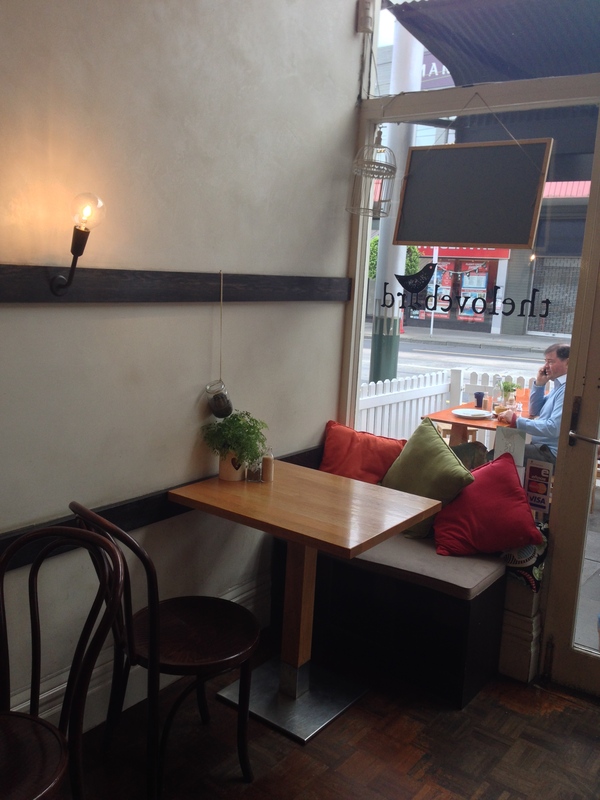 this gorgeous cafe is located on bustling high st in armadale, a part of melbourne that i absolutely love. gorgeous tree-lined streets, plenty of local precincts and shops, boutique clothing + cafes-a-plenty. it has street-side dining out the front with some bench-table seating which would be lovely on a warm sunny day. we headed inside today as i wanted the warmth, and to nosey at the cute decor. 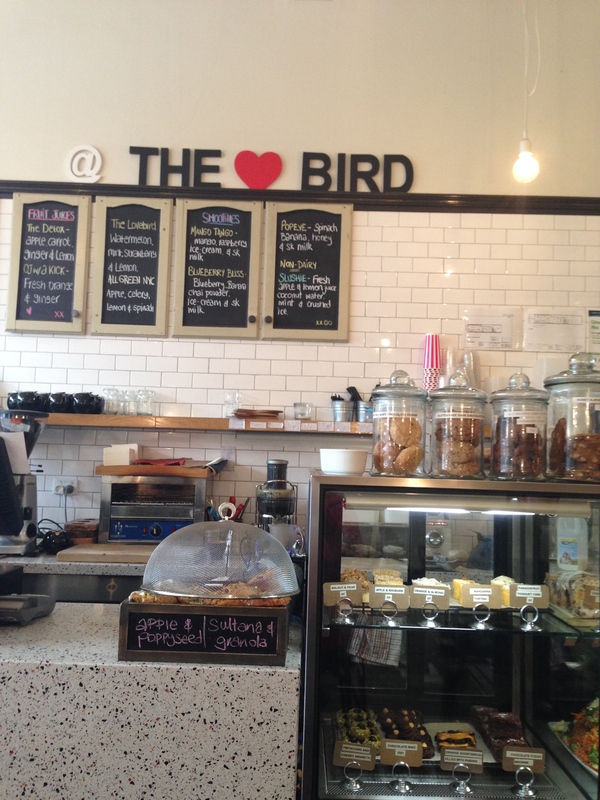 the lovebird has a really cosy and friendly atmosphere + i love the little bird houses and cages used in the decor. 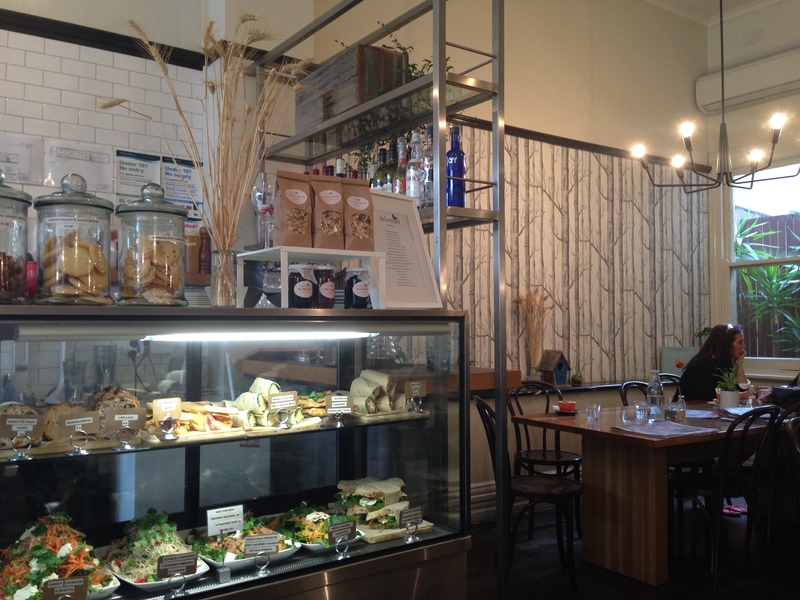 fresh salads, cakes and sandwiches are gorgeously displayed in the front cabinet. the new winter menu is very exciting with an emphasis on clean, fresh + healthy products. super foods, seeds + grains feature heavily, but there are also a few surprises like wasabi hollandaise, chilli-infused scrambled eggs + jalepeno crisps. 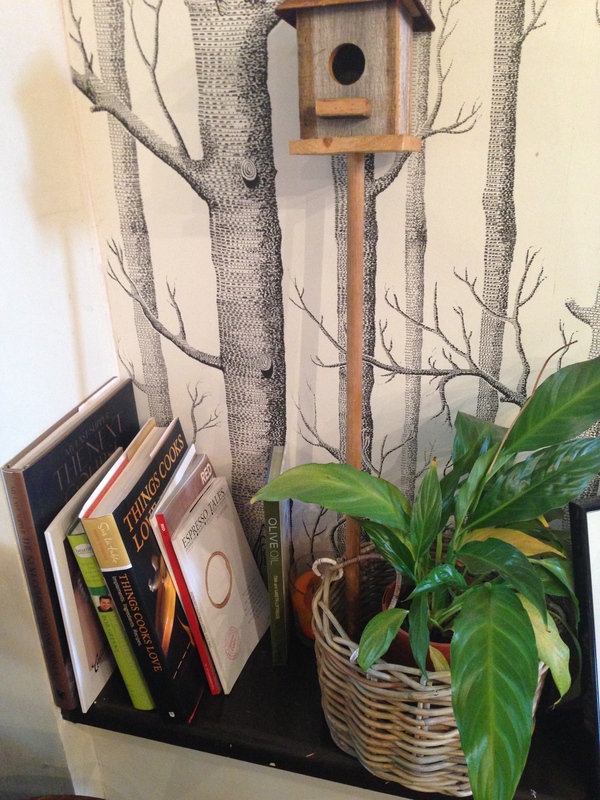 the menu also has a great selection of fresh juices and smoothies (for those that know me… this = big tick!). 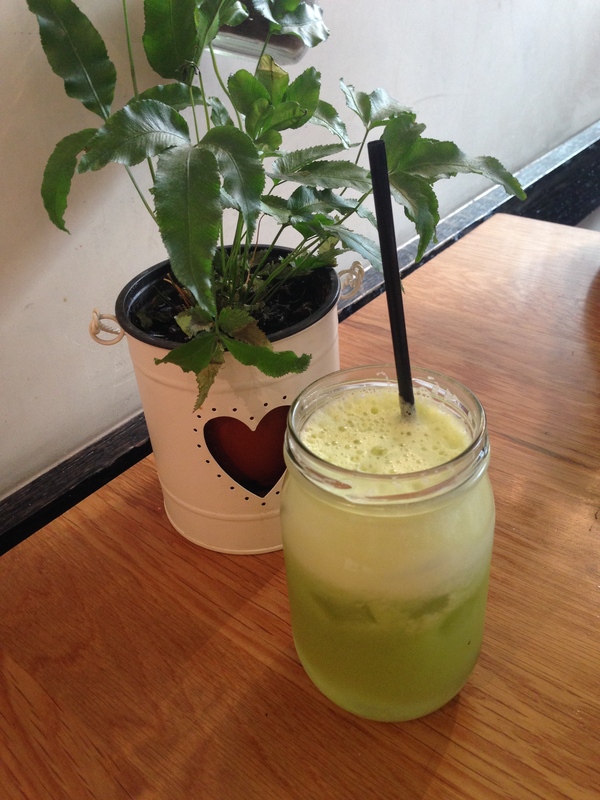 the husband chose a fresh apple + mint juice, and i couldn’t help a small smile at the cute “love fern” on our table (can you tell which chick-flick was on tv this week?). as well as featuring veneziano house blend and proud mary for single origin and filter, i was pretty impressed with my choice of milk: soy, almond or coconut. these guys are definitely appealing to every coffee-lovers whim! the taste was fantastic – strong, full-bodied + served at just the right temperature. 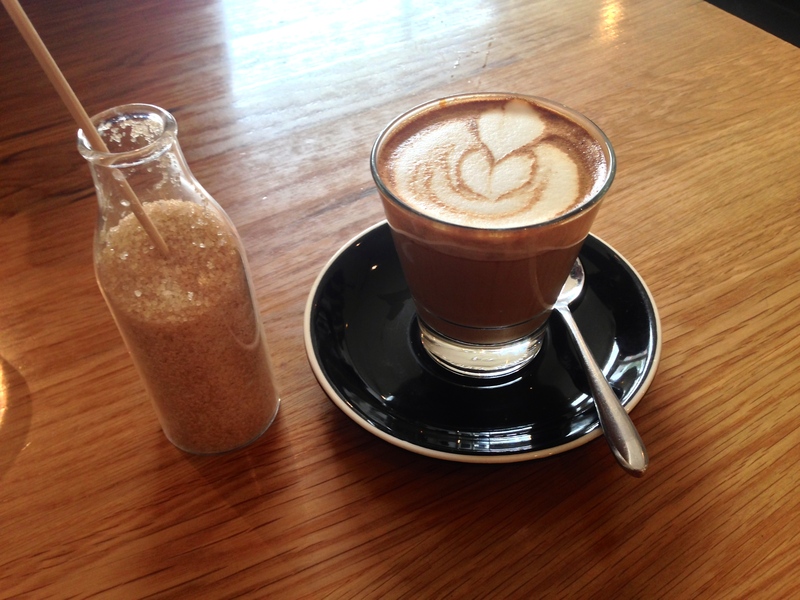 veneziano coffee is one of my favourites of all time (hailing back to when it was my regular when we lived in qld). 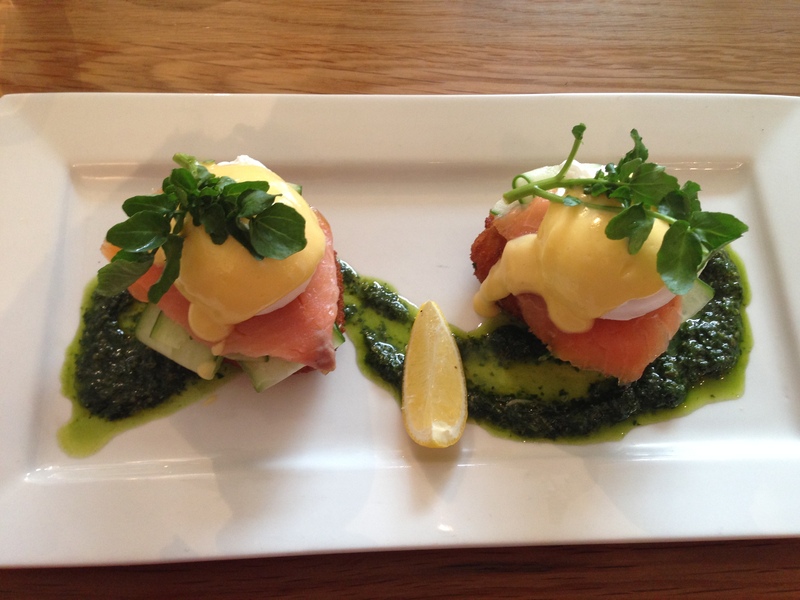 tasmanian smoked salmon, paprika crusted herbed potato croquettes, salsa verde, cucumber, poached eggs + wasabi hollandaise. i would not ordinarily choose salmon for breakfast, so i’m really glad i left the choice in neil’s hands this morning. this dish was lovely and light – i particularly enjoyed the cucumber which added a crunchy + refreshing element. it was a great compliment to the subtle wasabi hints in the hollandaise sauce and the salsa verde. 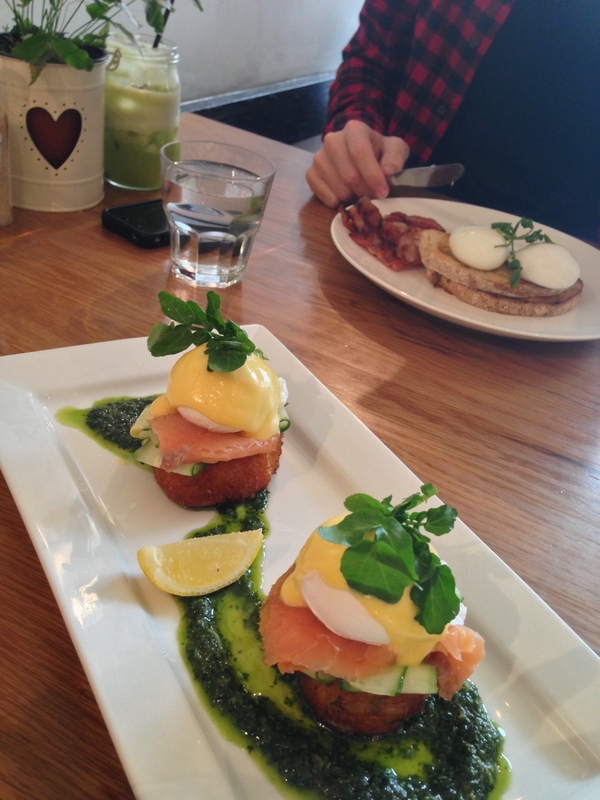 eggs were poached perfectly and i loved the presentation. bacon + poached eggs again (you can guess who had this dish! )… poached perfectly with bright, runny yolks. bacon was meaty and had a great grilled flavour. 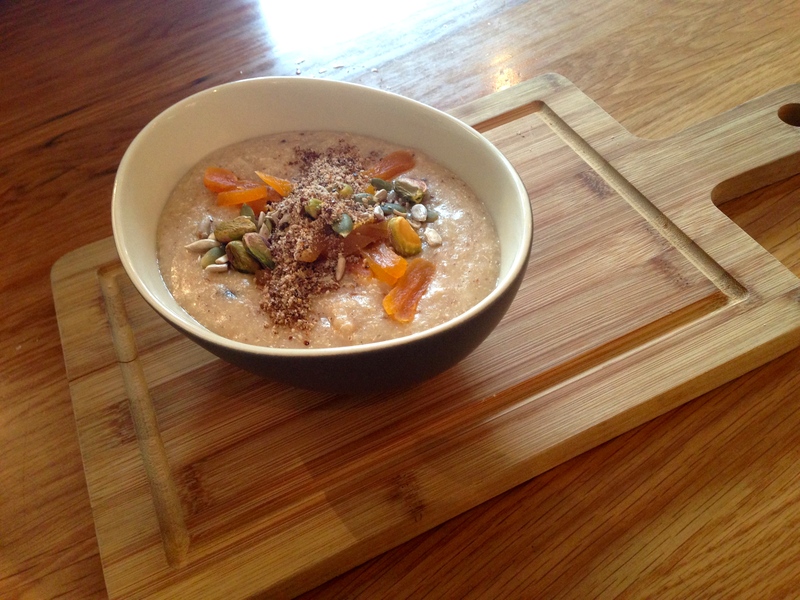 quinoa flaked porridge, fig + apricots, super food seeds, desiccated coconut + coconut milk.